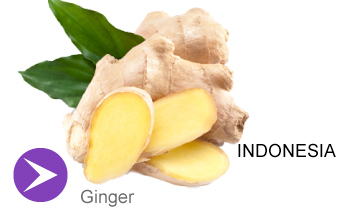 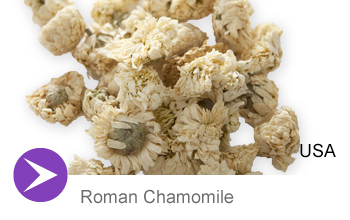 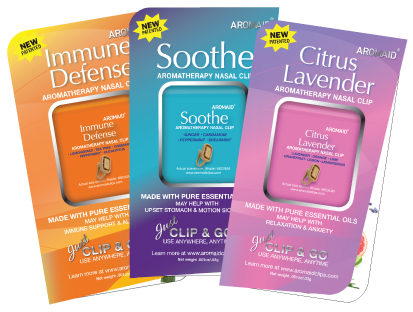 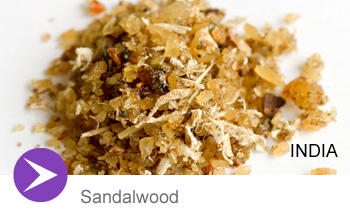 -Designed by doctors and nurses, the unique, patented design of the AROMAID® Nasal Clip takes aromatherapy to a whole new level. 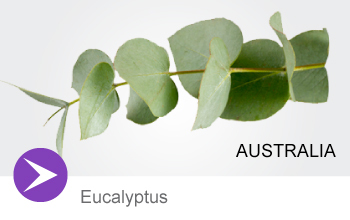 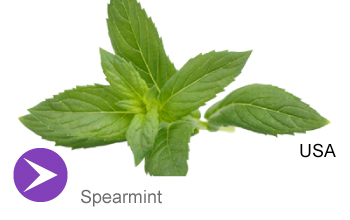 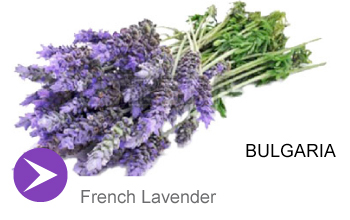 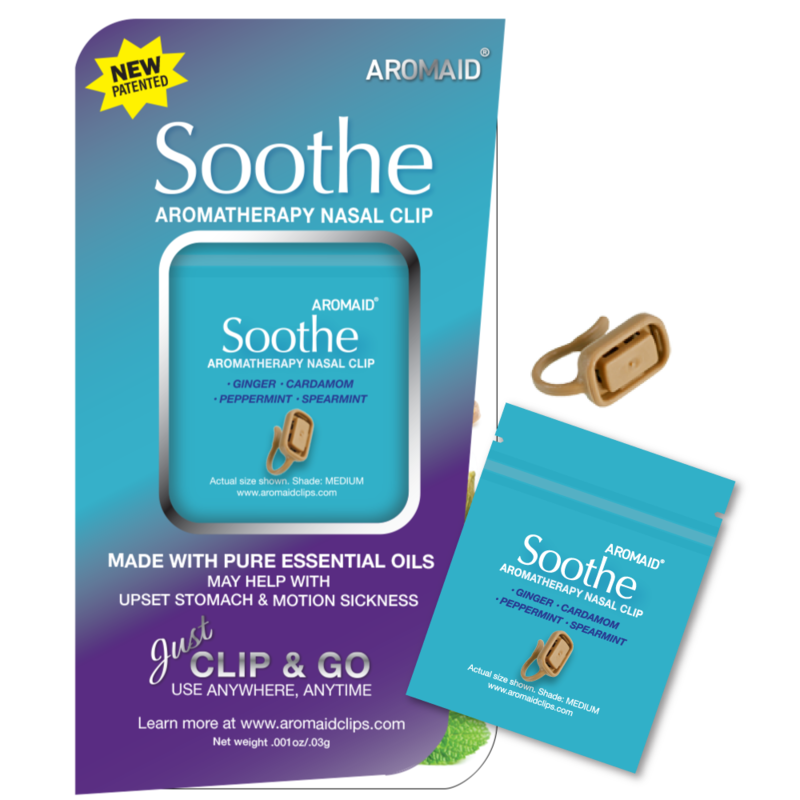 -Infused with pure, essential oils, the nasal clip design allows the scents to freely travel up the nasal cavity without touching the skin, for faster, more effective use. 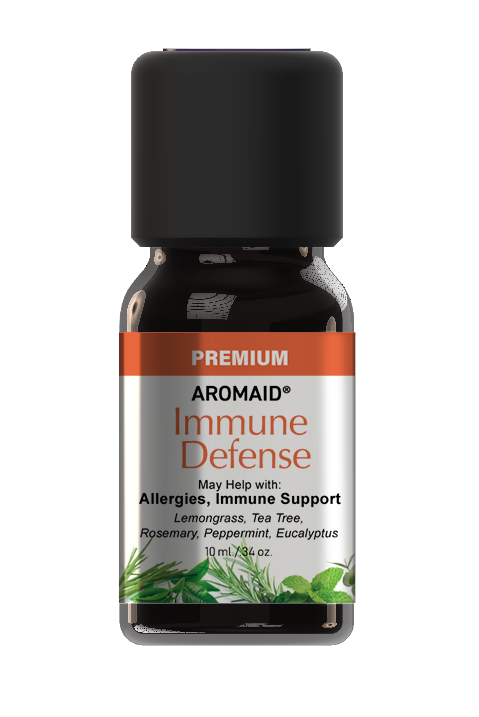 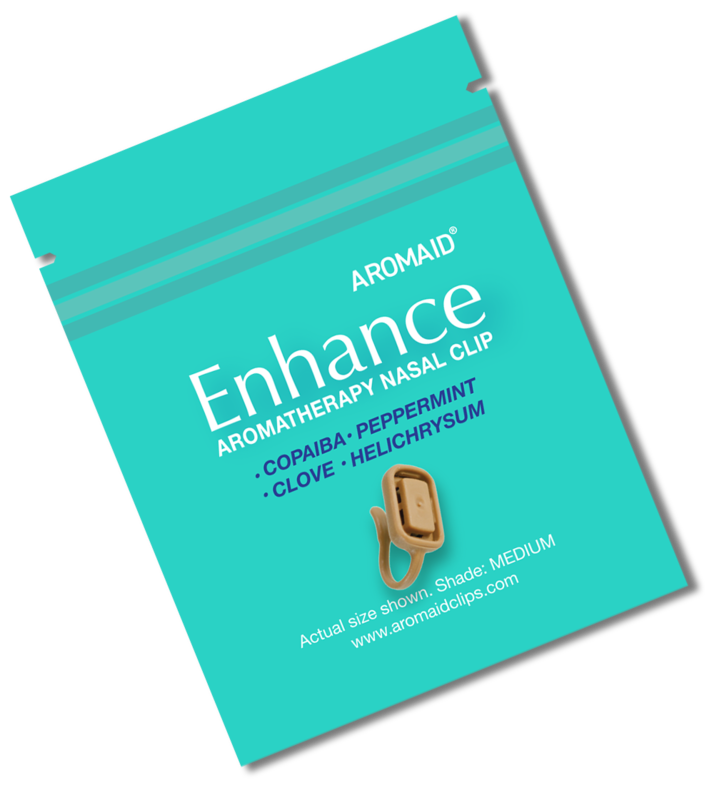 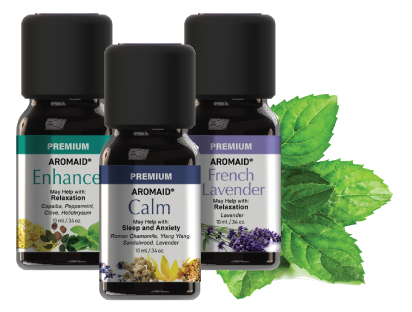 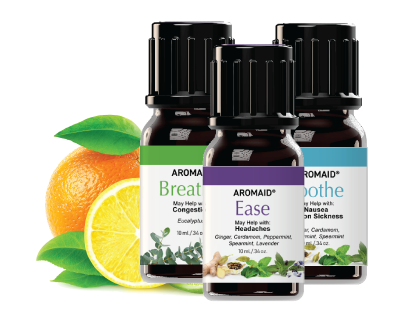 -This easy-to-use AROMAID® Nasal Clip allows aromatherapy to be enjoyed while on-the-go, during exercise, while traveling, or even by those who want to discreetly enjoy aromatherapy without disturbing others while at work or at home.